This may not be entirely wargaming related, but it certainly falls under the scope of miniature models if you ask me. 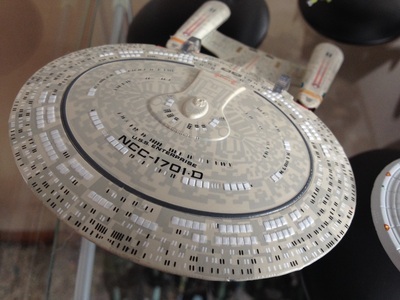 Considering it's also a Star Trek item...I'd think there's some room to assume it would be of interest to the inner geek in all of us wargaming and miniature model enthusiasts. 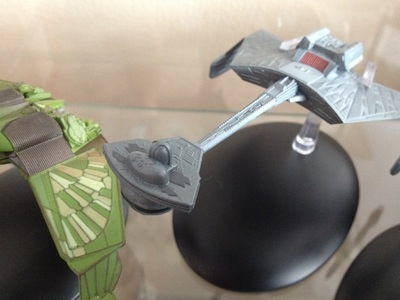 Eaglemoss Collections is known for some pretty nice pre-painted models, all of which usually come with a magazine. Some are sold as collection pieces for a chess set, others simply as little statues found in local comic-book shops. In recent years they've done loads of Marvel and DC models. I picked up a nice pre-painted Superman model that falls slightly short of 4-inches tall a while back. They also put out a Batmobile collection, which encompassed a vast selection of the numerous Batmobiles depicted in the comic books over the years. Then I found out over the summer that they were doing per-painted diecast Star Trek ships, officially licensed and all. The clincher was they were only $19.99 each! Heck I spend that much on a single model I need to paint myself, so at $20 a pop it was an easy sell for me. They had me hook, line and sinker. To my surprise after I signed on to receive them they announced that now the first issue wasn't going to be $19.99. The introductory model will set you back only $4.95, and it is the USS Enterprise 1701D model from Star Trek: The Next Generation. Each one comes with a nice little magazine. The magazines are printed on nice thick high quality paper with information about each ship. I'm yet to look into it, but I heard there's free digital editions of the magazines available as well to Club members. Detail-wise these ships are amazing! On the Galaxy-class Enterprise D they've depicted each and every port and window. All of the proper markings are present even underneath. Each model comes with a nice clear plastic cradle that holds the ships in such a way that they can be displayed without getting in the way. Each base that each cradle plugs into has black flocked material on the bottom, plus a sticker detailing what model it is. They really went for museum quality with these things. 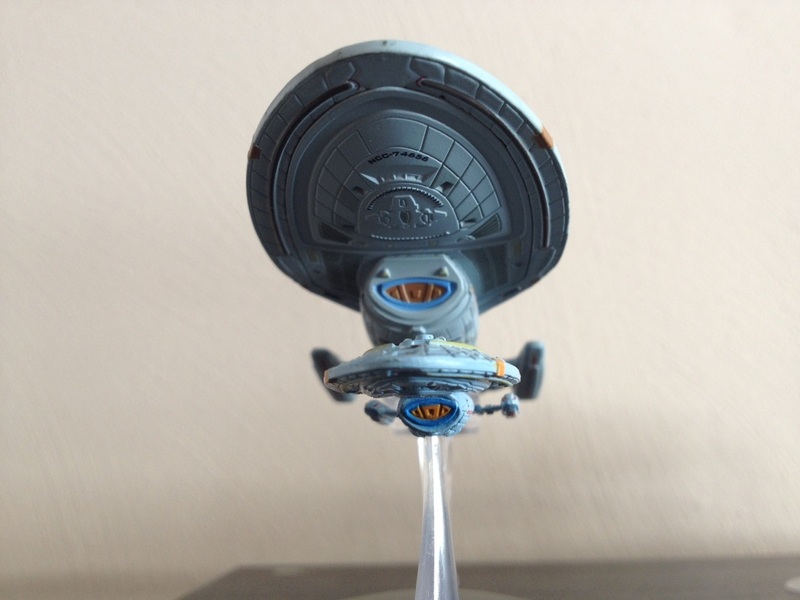 Little details like colored translucent plastics are used on the nacelles of various models, instead of just painting them, making those little details that much more convincing. My most recently received model is the K'Tinga-Class Battlecruiser, and I was really impressed with the level of sculpted texture detail everywhere on the hull of this model. I honestly never released the models in the movies and on the TV shows looked this great this close up! 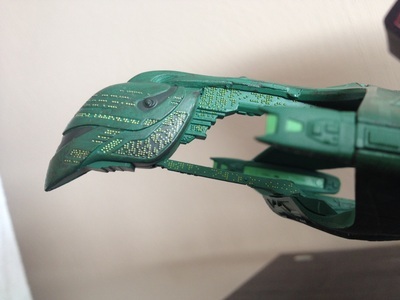 The detailing on the Romulan Warbird is insane as well, both in sculpted texture and painted details. Even the Enterprise NX-01 from the TV show Enterprise has the look of a utilitarian metal hull, versus the newer cleaner look and feel of the ships that chronologically come after it. I think they've really hit the nail on the head with these models all around. 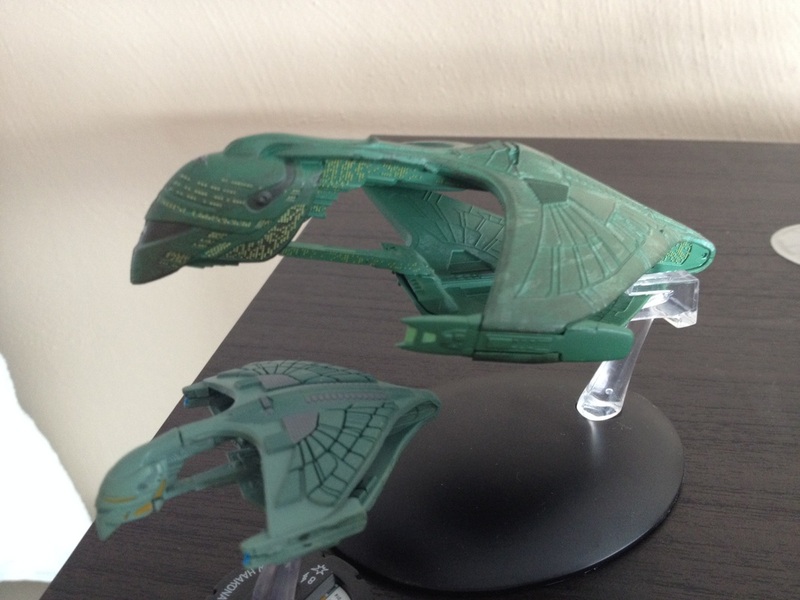 I'm yet to see one that wasn't totally representative of the ship it models. I guess the only catch is, if you can call it that.. it's a subscription type service where you join the Club. You agree to purchase two models per month at $19.99 each, but that includes shipping and handling, so there's no other hidden fees (at least not from them, more on that later). For a few pennies less than $40 a month and you're sent two ships each and every month. There's also some perks to subscribing and being in the Club. With your first shipment you're given a free binder to keep your magazines in. 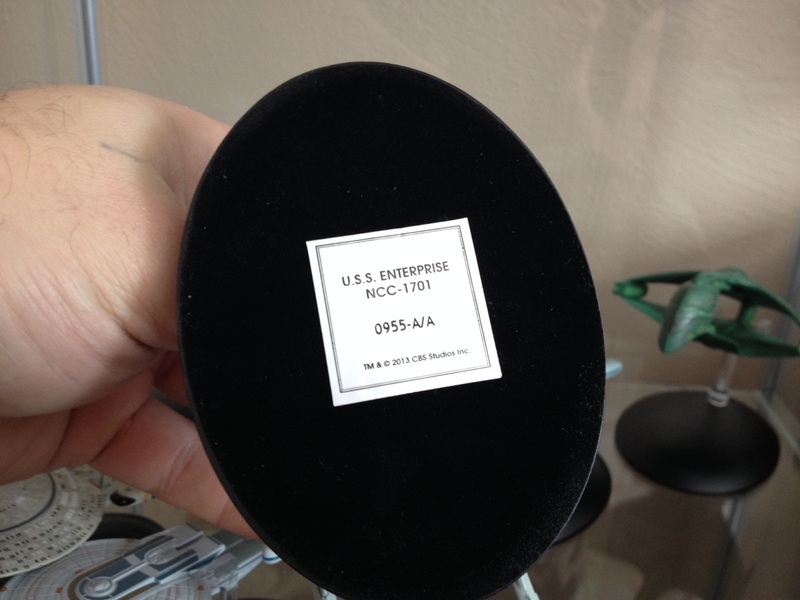 With the 6th shipment they'll send you a free dedication plaque, which is essentially a replica of the one found on the actual set of the Enterprise D from Star Trek: The Next Generation. When it comes time for your 10th shipment they'll send you a free Future Enterprise D model, which is the three nacelle version Riker commanded in the very last episode of Star Trek: The Next Generation “All Good Things” Lastly with your 16th shipment they'll send you a nice big square Borg cube for free. In addition to the monthly models, from time to time they'll put out special editions. You can opt in to receive these automatically, or you can simply request to buy the ones you want, and to overlook the ones you don't want. The first special edition is a really nice model of the DS9 (Deep Space Nine) space station. My only complaint with it was it cost as much as two regular models, and based on the photos I've seen it didn't look as large as two normal models. I still want it, but it will have to wait until I end up with some bonus funds. 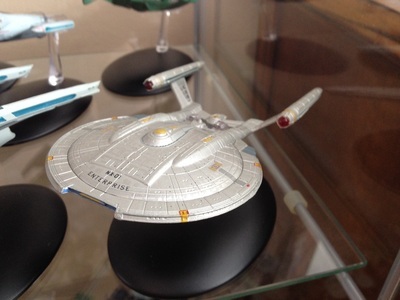 I also just learned that they've announced a special edition of the Enterprise from the 2009 feature film. It's said to be quite a bit larger than the standard size model, of course it will be nearly twice the cost of a single standard edition release too, but nonetheless I think I want it more than the DS9 model. 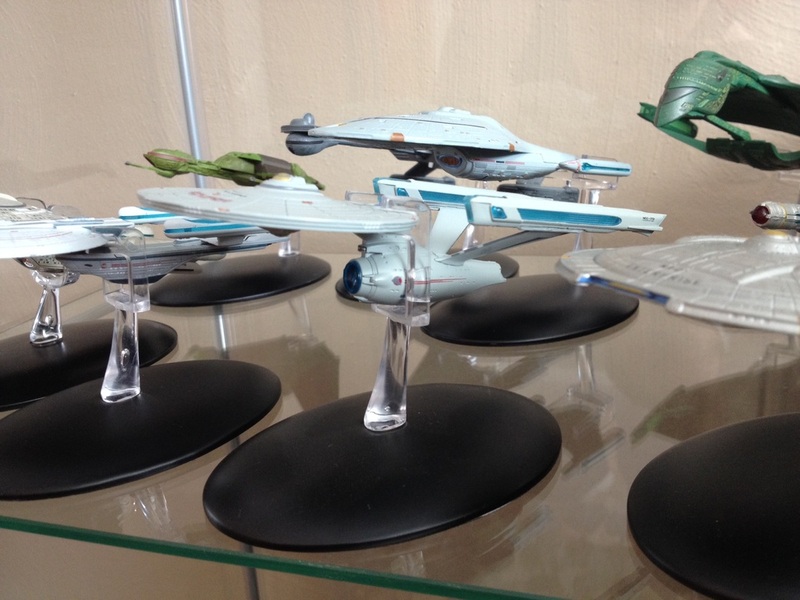 I should also add that scale-wise... all of the ships are definitely no where near in-scale with each other. I don't think this is entirely a bad thing, because I think if they were all completely in scale with each other, they'd likely have to charge different prices per model, which would totally throw off the set monthly subscription format pricing in the end. I actually like the fact that they're all pretty close to the same size, because I feel I'm getting my moneys worth that way. In fact, it will look a little funny when say the Defiant is setting next to the Enterprise A and they're nearly the same size. It's however a trade off I can live with, but one that some may find a little tough to swallow no doubt. 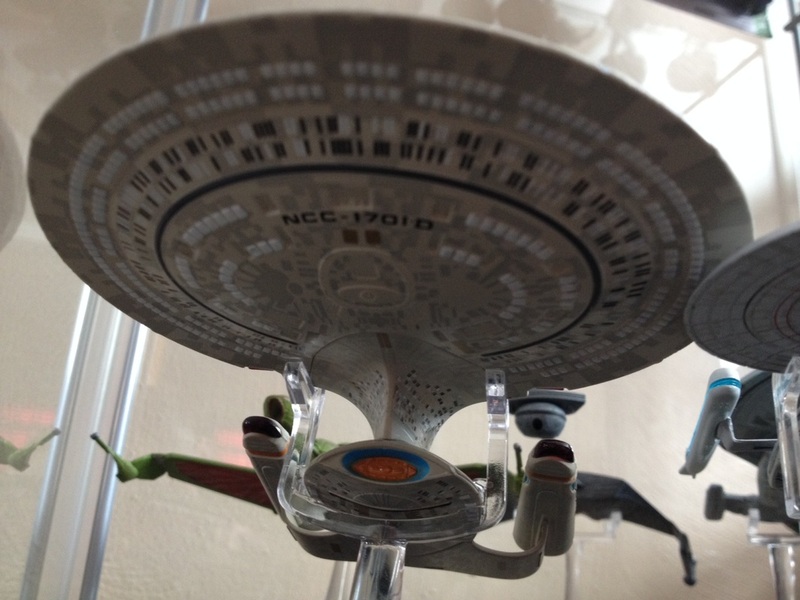 Eaglemoss Collections really captured the essence of Star Trek vessels like no one else before them with this collection. Having been a Star Trek starship enthusiast for over 25+ years now... I've seen hordes of plastic models, and other diecast models come and go. I feel I've truly “seen it all”. 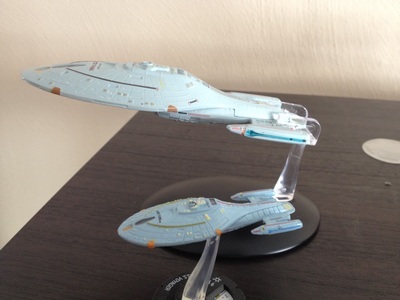 However, I've never been more impressed by a Star Trek model than I have by these Eaglemoss editions. I like the fact they include the shipping and handling in the price, and at roughly $20 each it's worth what you receive in return. My only gripe is that Eaglemoss is a British company, and while they ship the models from a US warehouse, I guess they charge my bank from England, because I end up paying an almost $2 bank fee once a month after every time they charge me. My only other issue is that the K'Tinga Class Battlecruiser they show on their website in the Ship Archive is painted and detailed nicer than the model they just shipped. Now that I've seen the picture from their website...I'm a little jealous that the model they shipped didn't have that extra painted detail like that. 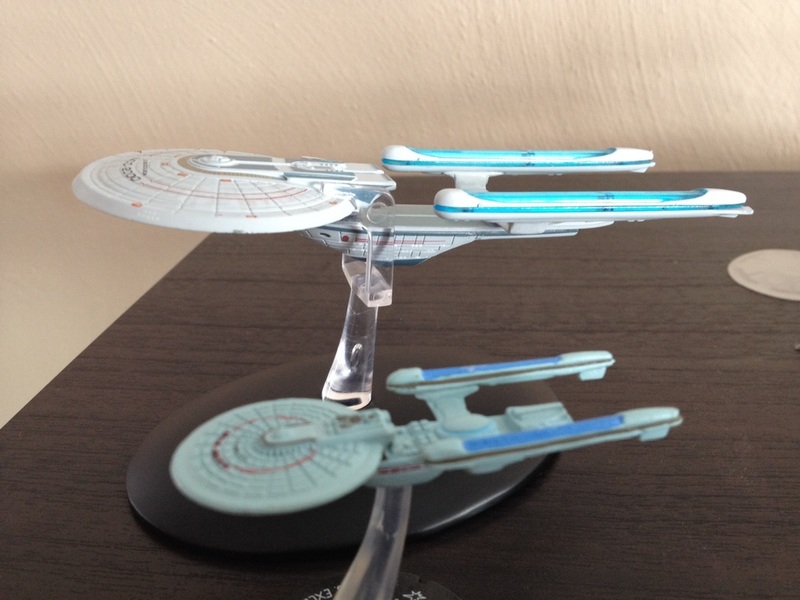 With the minor issues aside... it really is a great collection, and these are truly models that any Star Trek enthusiast can appreciate. If you have $40 a month to spare, I can't see a better way to spend it if you're a Star Trek enthusiast. With over 70 ships planned for the collection, there shouldn't be any lack of ships for some time to come too.